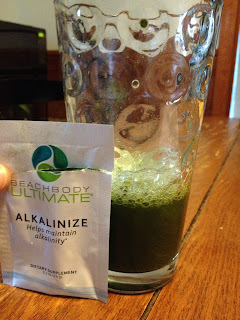 The second day on the reset....oh how I want to stray away from the plan but am staying strong! I am determined to get good results and am dedicated to this for 21 days!! It was so so hard watching my coworkers snack and eat whatever they wanted for 5 hours worth of meetings in the office today. But I just kept thinking mentally and physically how amazing I am going to feel after this cleanse. For today, breakfast and dinner were AMAZING!!! So so filling and delicious. They were definitely meals I will make even after the cleanse. 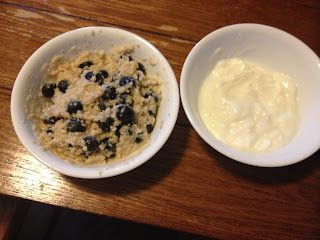 Bfast was oatmeal with blueberries and a side of plain organic yogurt. Lunch was a salad like yesterday with chicken and pine nuts. Snack was a chocolate vegan shake. 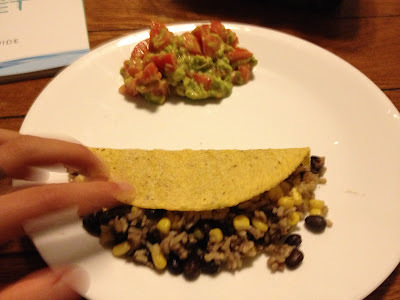 And dinner was southwestern tacos. YUM YUM YUM!! For the supplements, they arent bad till I have to take the green stuff. UGH GROSS!! Take it like a champ I keep telling myself!